The Lord&apos;s been good to me. — From the "Johnny Appleseed Grace"
John Chapman, aka Johnny Appleseed, the pioneer nurseryman, would be turning over in his grave, wherever it is, if he knew how far from the apple tree Americans have strayed. The barefoot wanderer who carried apple seeds by the bushel from Pennsylvania to the wilderness of Ohio, Indiana and Illinois in the late 18th and early 19th centuries, promoting a vast diversity of apple varieties to help settlers survive on the Western frontier, would not be "happy as can be" to find out that 40 percent of the U.S. crop today is Red Delicious. 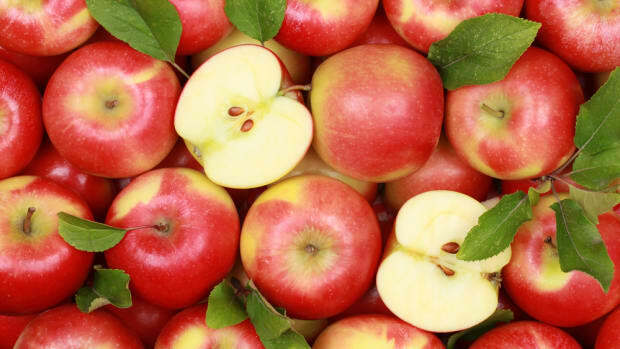 Ten other apple varieties such as Gala, Fuji and Golden Delicious largely make up the rest of what&apos;s sold in supermarkets. But there was a time in the late 19th century, America&apos;s "golden age of apples," when an estimated 6,650 named varieties flourished in "the fruited plain" from coast to coast. In a regional study of 43 historic and abandoned orchards in Arizona, Utah and New Mexico, published in the journal HortScience this year, researchers at the University of Arizona and U.S. Department of Agriculture identified what appear to be 110 unknown, unnamed and unsung varieties of apples, mostly planted by Anglo settlers to the Colorado Plateau 100 years ago. And that&apos;s in a region not historically known for its apples. 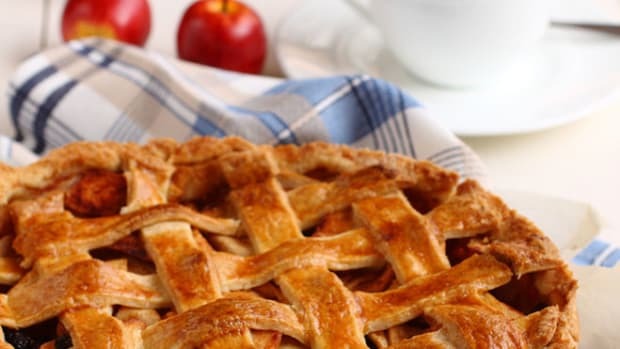 It&apos;s a snapshot, researchers said, of the high diversity of apples — fruit of all colors, sizes, shapes, textures and flavors — that was once celebrated in 19th century America and may still be around in relic trees. Time is running out to preserve the best of these and countless other tenacious heirloom varieties before it&apos;s too late, said principal researcher Kanin Routson, a U of A doctoral candidate student who wrote the apple study for his master&apos;s thesis when he was at Northern Arizona University. "They&apos;re dying," Routson said. "Both the orchards and the apples themselves should be preserved because they represent history." Eighty-six percent of an estimated 14,000 apple varieties that were historically grown in the U.S. are now extinct. The USDA Plant Genetics Resources Unit in Geneva, N.Y., has an orchard of 2,700 clones of domesticated varieties from around the world, including apples from Kazakhstan, the birthplace of the apple, and 1,000 from North America. Only about 1,500 apple varieties can be obtained today through U.S. nurseries. In the 20th century, with the advent of rail transportation and cold storage facilities, thousands of America&apos;s heirloom apples were eventually displaced by a handful of picture-perfect, commercially grown varieties — fruit that ripens consistently, survives shipping and has a long storage life. "We&apos;ve really limited ourselves to a few cultivars that are now in production," said Gayle Volk, a USDA plant physiologist who supervised Routson&apos;s lab work at the National Center for Genetic Resources Preservation in Fort Collins, Colo.
"The trees that Kanin has sampled are not going to be around forever. We are working on sorting out some of those unknowns and bringing them into the national collection so they can be conserved for the long term." To find historic orchards, Routson consulted the Southwest "Regis-TREE" of hundreds of remnant orchards compiled by Native Seeds/ SEARCH, a nonprofit group based in Tucson, Ariz. 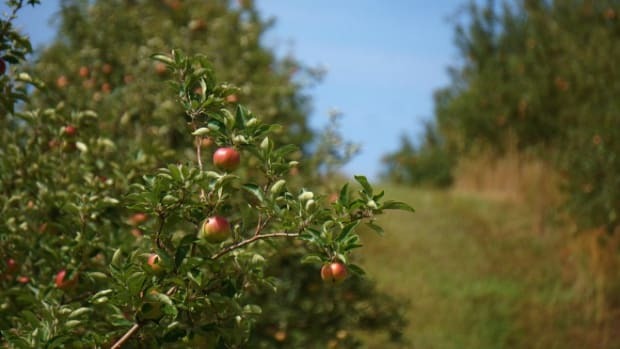 The antique apple trees had been largely abandoned, Routson said. Those on public lands, such as the Capitol Reef National Park in Utah and Slide Rock State Park in Arizona, were being watered, but many on private land were not. Some were diseased and had not borne fruit for years. It is virtually impossible visually to tell one apple from another of a similar color and size. So, to differentiate among them, Routson gathered leaves from the trees, extracted DNA from the leaves and then tested the DNA for seven genetic markers to create a genetic fingerprint. Of 280 trees that he sampled, 120 had DNA fingerprints that exactly matched those of 34 known heirloom apples such as the Arkansas Black, Westfield Seek No Further, Winter Banana and Transcendent Crab. Most of these apples are no longer in commercial production, but Routson was able to obtain their leaves from the USDA&apos;s collection. The DNA of the remaining 160 trees sampled by Routson turned up 110 varieties that did not match the genetic fingerprints of any known to have been brought into the region. Some of them, Routson said, may be rare varieties that are no longer propagated anywhere else. Seed banks have become the sole owners of much the historic agricultural diversity in the United States, including heirloom apple varieties. But conservationists say the best way to save heirloom apples is to get Americans eating them again. "The idea is to connect conservationists, orchardists, chefs and small-scale farmers&apos; markets, to say, &apos;How can we bring these varieties back onto our tables?&apos;" said Suzanne Nelson, a spokeswoman for Native Seeds/SEARCH. One group that takes an "eater-based" approach to conservation is Slow Food USA, a nonprofit group with headquarters in Brooklyn, N.Y., and 200 chapters nationwide. Slow Food, through an alliance called "Renewing America&apos;s Food Traditions," is promoting "adopt-an-apple" projects in the Great Lakes, Appalachia and New England to identify and clone local heirloom varieties and "repatriate" them into orchards, backyards and public parks. "It&apos;s healing the urban-rural divide," said Gary Nabhan, a University of Arizona biologist who founded the alliance and was Routson&apos;s mentor. "It&apos;s essential that we recruit a new generation of apple grafters and apple growers, even if they&apos;re in quarter-acre lots in urban areas. We need a new set of orchard keepers for the new millennia." In Greenfield, N.H., Ben Watson, a co-leader of the Monadnock Slow Food chapter, founded a nursery because he was worried that the Granite Beauty apple, a once-famous regional heirloom, might be lost for good. As far as he knew, there were only two trees left of it, and they were in a 250-year-old orchard whose owner was having trouble finding a buyer. Watson learned how to graft, or clone, the trees, and, with the help of Slow Food, the nursery now has 100 apple trees for sale, representing 50 heirloom varieties. "It may not be earth-shattering to people," Watson said. "It&apos;s not that apples are going to go extinct. But the Granite Beauty, that unique, unusual variety, was going to disappear." Johnny Appleseed didn&apos;t graft trees: It was against his religious beliefs. Along with apple seeds, he liked to spread the gospel in the wilderness, trading a sermon for supper and a floor to sleep on. But if he were alive today, all things considered, wouldn&apos;t he have praised the Monadnock Heritage Nursery as "news right fresh from heaven"? An apple a day won’t keep the doctor away, but it may decrease your likelihood of using prescription drugs. 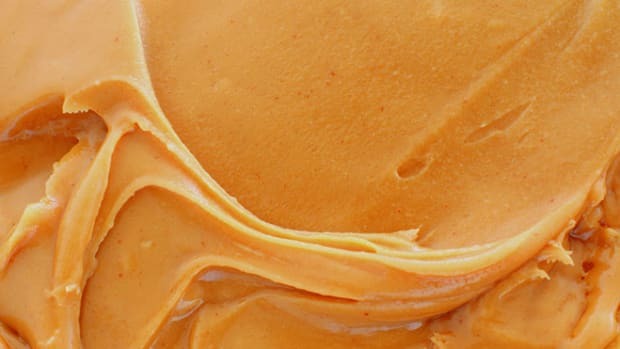 The Great Depression turned the regular, ol’ PB&J into a staple of childhood, and the sandwich stuck. Today, there’s little else that so easily transcends both regional and socioeconomic divides. What’s more American than that?